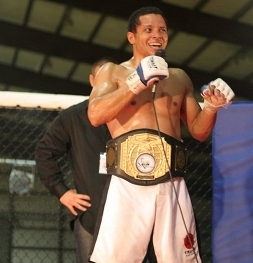 Voted #1 LW Fighter and #1 Pound-for-Pound Fighter! Wow, what a great honor! 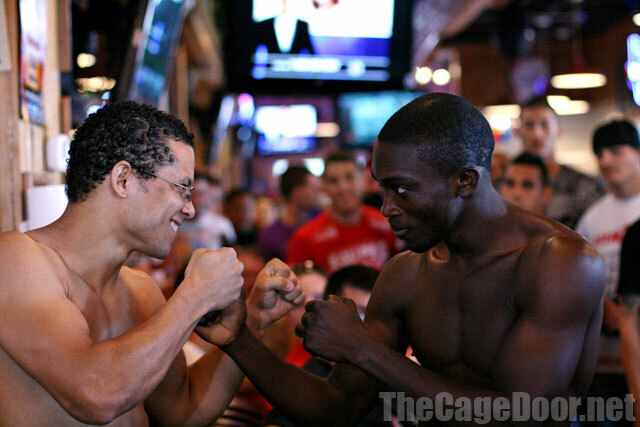 Once a quarter the thecagedoor.net puts together a panel that votes on the top fighters. 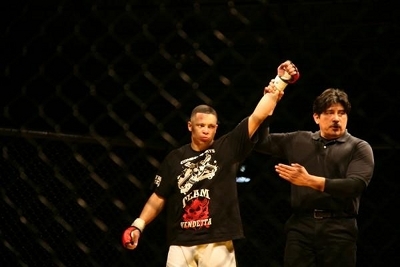 For the final quarter of 2010 I was voted 1st place for both the Light Weight division as well as the overall, or pound-for-pound category. 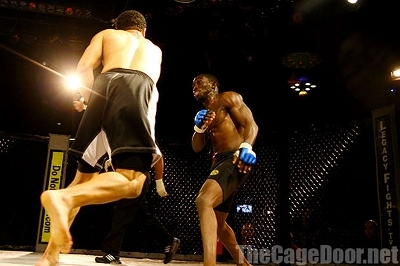 Thank you very much thecagedoor.net and panel for the honor. 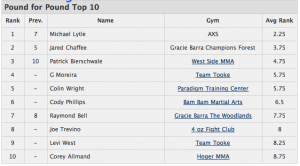 For more news on the rankings as well as Texas MMA news in general, go check out thecagedoor.net. 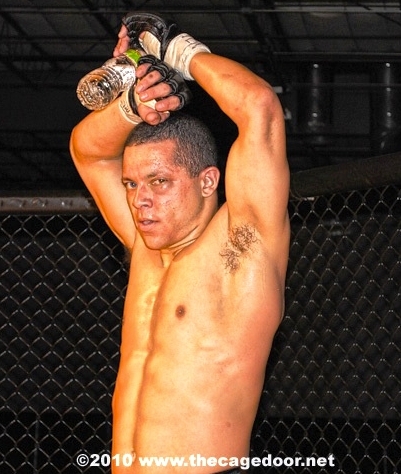 This past weekend I had the opportunity to take a shot at the Texas Amateur Fight League and North Texas Ultimate Fighting, Featherweight Title. It was a swing and a miss! 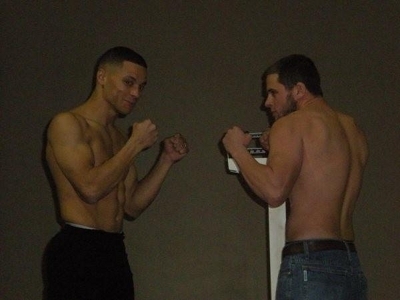 I went toe-to-toe with Javier Obregon in a battle that one commentator hailed as the “fight of the year in North Texas.” We went back and forth, up and down and all around the cage. 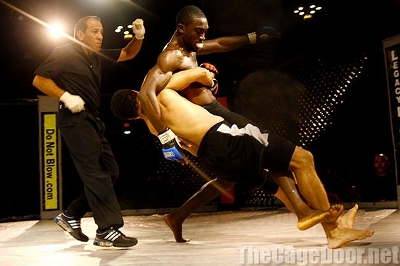 Javier bested me in the ground and pound and we exchanged some pretty vicious blows while on our feet. 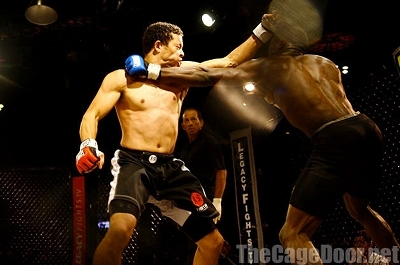 At one point I dropped him with a left hook, at another he dazed me with right to the temple. At another point I caught him in the head with an upkick but he kept coming. 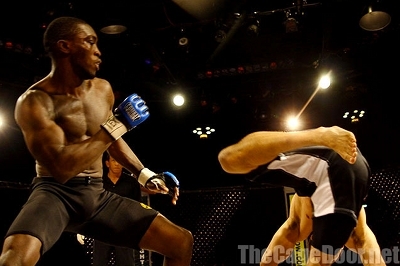 In the fourth round he was able to get the stoppage after gaining mount. Although I think we had a couple five minutes rounds mixed in there and the stoppage might of been a little early, I can’t complain as I was pretty gassed when the fight was called. One of my strong points is usually my stamina and ability to keep coming forward, that strength seems to be lost for me every time I cut weight to fight at 145. (Except for in my first fight at 45…hmm) Back to the drawing board! 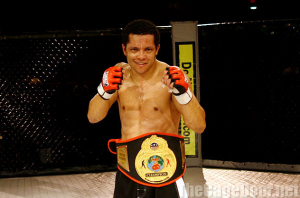 Congrats to Javier; great fight man. Thanks to Alex Madrid, Nick Pahanish and the rest of the TAFL/NTUF crew for putting on another great show. Looking forward to the bright future of this promotion. Thanks to my foundation–my Creator, my wife, family and friends, I couldn’t do it without you. Jennifer, Rachel and Julie, yall rock. Nobody screams louder than yall! Thanks Bob, Matt and Devon for the behind the scenes stuff, the promoter communications, preparations, corner work, driving, etc. Thank you MMA fans! Keep supporting your favorite fighters, we need you. 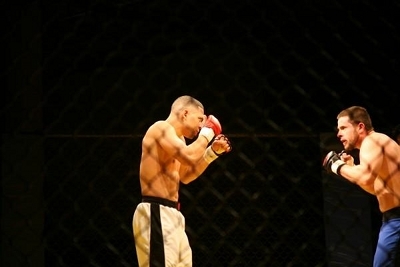 Another intense fight–the most in fact! 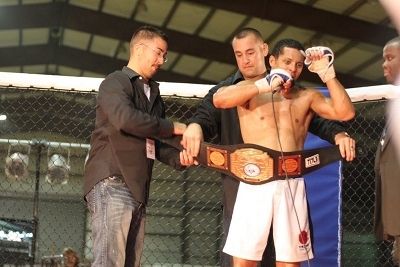 This past weekend I had the opportunity to take a shot at the United States Amateur Combat Association Light Weight title over in Houston. Mick Maynard and his crew regularly put on great events and this one didn’t fail to please. 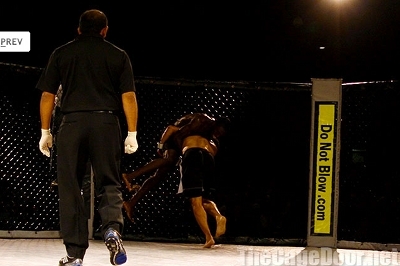 Going in, as was also the case in my last two fights, I was scheduled to go up against the hometown boy. There was quiet a buzz about his stand up skills. Ola’s game was definitely brought, as was anticipated. We had a war! So much so that we earned “Fight of the Night” honors. 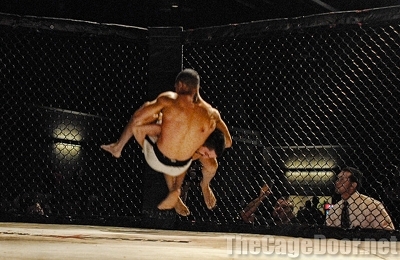 I was more relaxed in this fight than any of my others and threw some crazy karate kicks but also did more than one foolish thing (like ducking my head several times). When we entered the fourth round we were both calling on our reserves of energy. 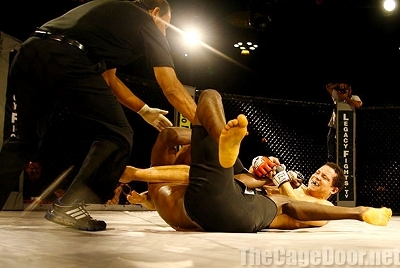 After getting a mean takedown and working my neck out of a guillotine attempt I was able to secure mount and take the armbar for the win. 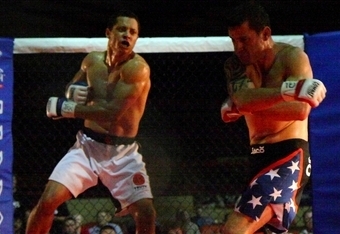 I can’t wait to start training again for my next fight. This one really brought home the realization of the blaring holes in my game. But, it was oh so much fun! I love a war! Thank you so much to my wife, my sister Rachel, Patsy and Julie who made more noise than all of the Houston crowd combined. Along with Matt and Bob, they seemed to be the only ones in Houston Theater Arena who wanted me to win! Ha ha! It’s all good though! Thanks to Mick Maynard his wife and crew for putting on an exceptional event and thanks to all of you who support Texas MMA! As always, thanks to the places were I am forged! 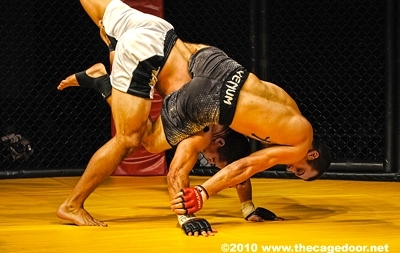 Guerrilla Fitness, Rubicon Fight Sports and Fit and Fearless. Each fight keeps getting tougher! 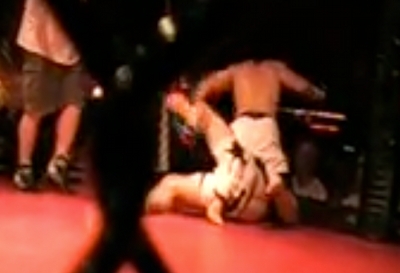 I thought I had my opponent in the first minute after taking his back following a takedown. Burt hung tough though. 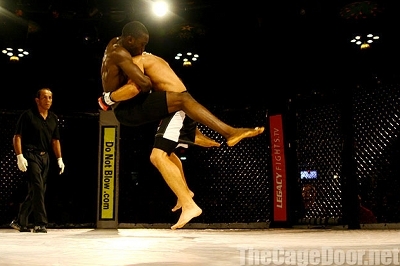 He later told me that I would have had to put him to sleep to have won via RNC. 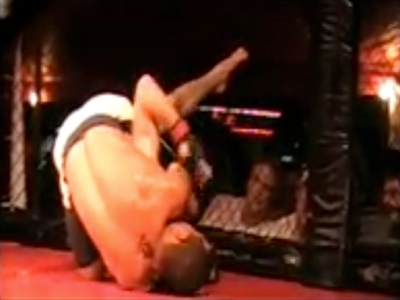 After some tough back and forth stand up and grappling I was able to get him in a triangle choke from which I transitioned into an armbar to get the tap and the win in the second round. Great fight Burt! Thank you to my God for the opportunity to LIVE! Thank you to my family for their unceasing support (I love you Jennifer!). Thanks Bob, Matt and Julie. Great cornering Matt! Thank you Guerrilla Fitness, Rubicon Fight Sport and Fit and Fearless, training is where it starts! 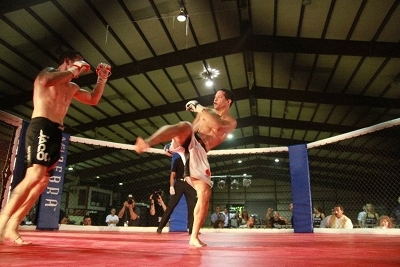 Thank you TAFL/NTUF and fight fans for putting on a great show! Toughest fight to date! We came out banging. This opponent definitely hit harder than any I’ve fought so far. 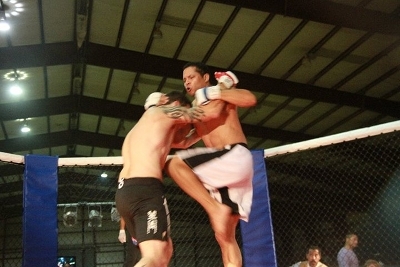 Not sure if that was because of his karate background or because it was my first time in a heavier weight class. 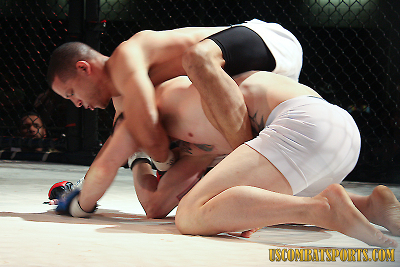 After banging in the first round we took it to the mat in the second where I was able to take his back and slowly and methodically sink in a rear naked choke. We actually just broke that move down and studied it piece by piece a couple weeks ago in class. 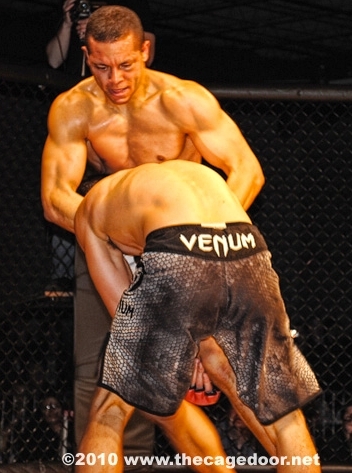 Congrats to Chris for winning a hard fought three rounds in his mma debut! Team Vendetta of AXS is headed to Alabama! “Knock em flat” Bennie Sorano, Chris Green, and Chris! 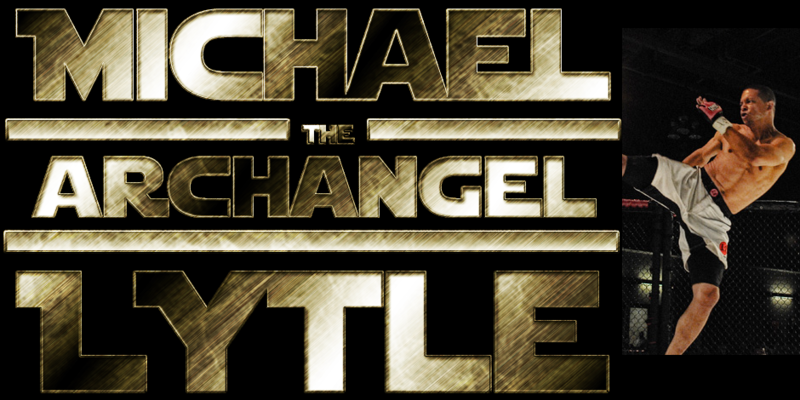 I will be fighting my toughest opponent to date. My opponent and I seem to have very similar resumes. We both have black belts in Tang Soo Do and we both teach BJJ. 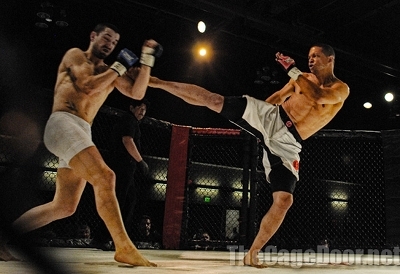 I will also be moving up to fight at lightweight(155). 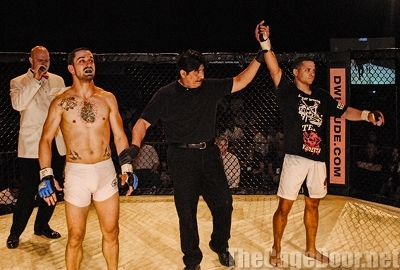 My first three fights were at featherweight(145). The event is called Strikehard 12. 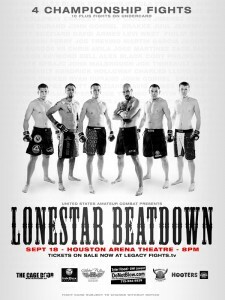 Lonestar Beatdown, May 7, 2010. Looking for a strong rebound! Congrats to Matt Hobar. Great wresting skills man. FaithFight.org -Equipping you to war. Manor Karate Center -We Bring The Lessons to You!